I’ve not done a lot of traveling of late but that’s not all bad. (Huppy is of course gallivanting about the Caribbean again.) I’ve been busy building up a client base here in southwest Wisconsin. Two of them have kept me more than a little busy. 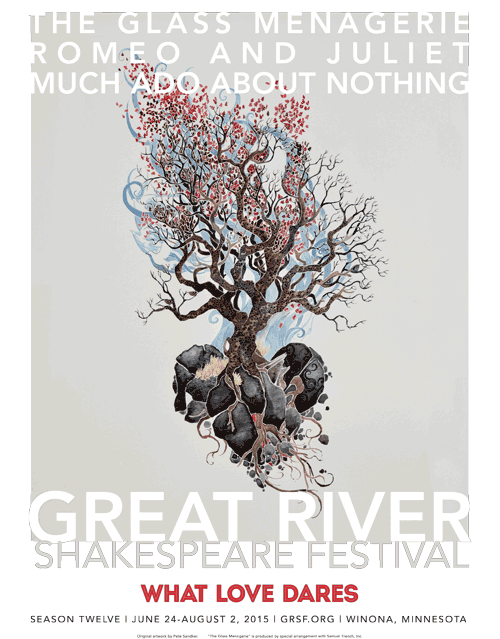 First, the Great River Shakespeare Festival in Winona, MN needed an annual report a brochure and some posters. I finally get back to my computer to do what I want to do and what’s the first thing I crank out? This! This entry was posted in bidness, politics, Wisconsin by Roxanne. Bookmark the permalink.